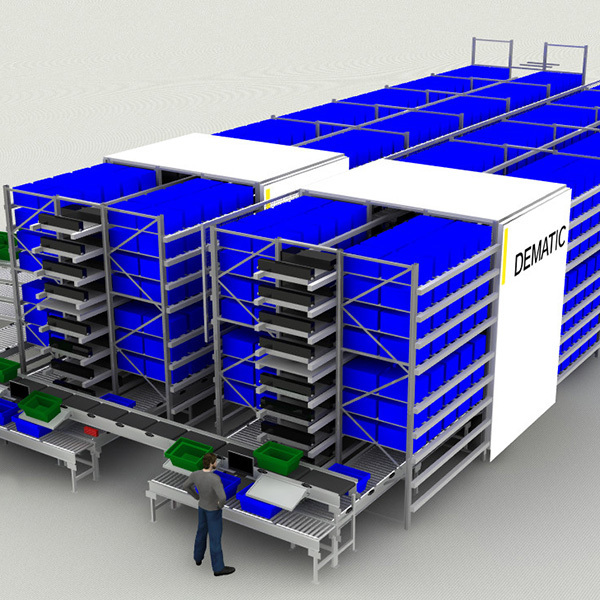 Dematic, a leading global supplier of integrated automated technology, software and services to optimize the supply chain, will feature order fulfillment, returns processing, and mobile automation operational solutions at ProMat, April 8–11, 2019 located at Chicago's McCormick Place. ProMat 2019 is the material handling and logistics industry’s premier event with over 950 exhibits from leading solution providers and a comprehensive Educational Conference focusing on what's next in best-in-class solutions for manufacturing and supply chain operations. The Dematic and KION exhibits will be go to destinations for manufacturing and supply chain professionals seeking the latest innovations. Good-to-person and goods-to-robot solutions that dramatically increase pick rates, reducing labor requirements and order processing time. Featuring the Dematic Pouch System for staging, sequencing, and sorting that optimizes e-Commerce and retail store order fulfillment processes. A fleet of battery powered Automated Guided Vehicles (AGVs) and automated industrial lift trucks for a wide variety of distribution and manufacturing operations. 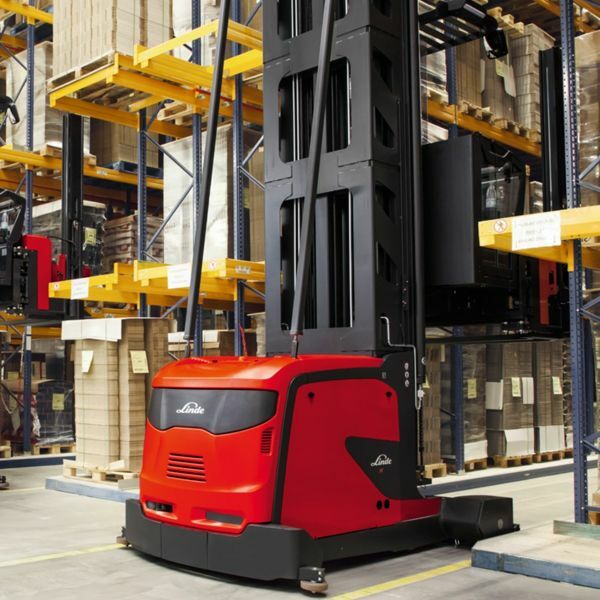 Featuring the Linde Very Narrow Aisle (VNA) AGV powered by Dematic, which combines a Linde VNA lift truck with a Dematic automation pack for a hybrid solution — fully automated operation for picking, putting, transporting, and lifting pallet loads that can also be operated manually. Processing solutions for omni-channel retailers and pure play e-tailers to get returned items back into inventory and available for re-sale. 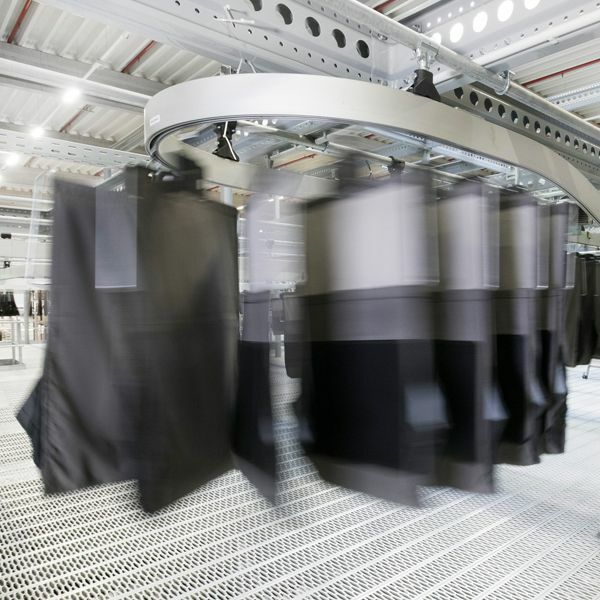 Featuring the Dematic Merchandise Returns System, a pre-engineered returns handling system managed by Dematic iQ software. Dematic iQ performance optimizing software that provides a holistic, warehouse-wide approach to optimize order fulfillment and facility lifecycle management. 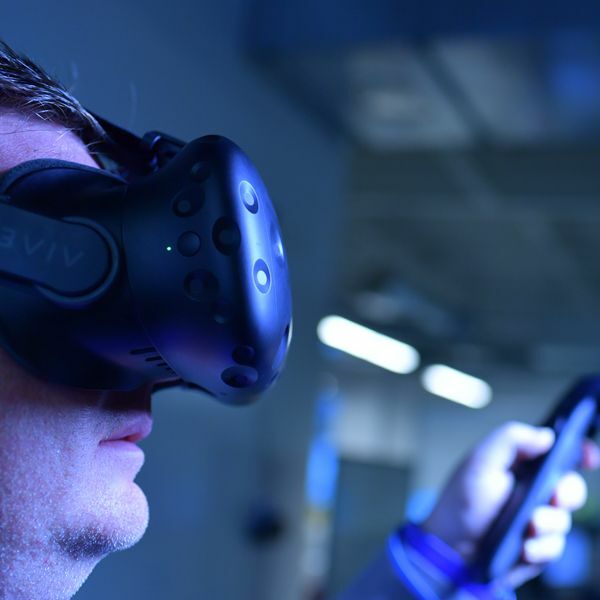 Featuring Dematic iQ Virtual, a simulation and emulation platform that provides a digital environment to safely view software or operational changes without negatively affecting day-to-day operations. MicroFulfillment is rapid-response e-commerce order assembly for retailers that need to support same-day home delivery and order pick-up. The Dematic MicroFulfillment System provides compelling results by minimizing the time, space, and cost to fill orders. Orders are assembled in minutes at a location near to customers, usually inside a retail store or in an urban/suburban distribution center. Monday, April 8 10:30–11:00am Convert Returned Merchandise to "Sale Ready"
For additional information, contact Karen Lowerr at 262-860-6546.